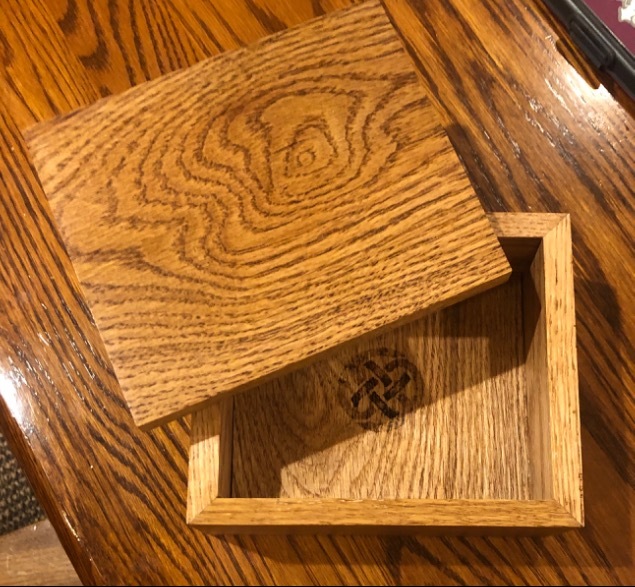 These beautiful oak Jewelry/ Treasure boxes are one of a kind. With a burned Celtic symbol of a secret space, this is one that will last many generations to come. We custom make these and can have ready in 3 to 5 days.